Scott Combs had a message for the University of Michigan-Dearborn softball team before the 2015 season, and it was a simple one. The Wolverines were going to compete for a championship. 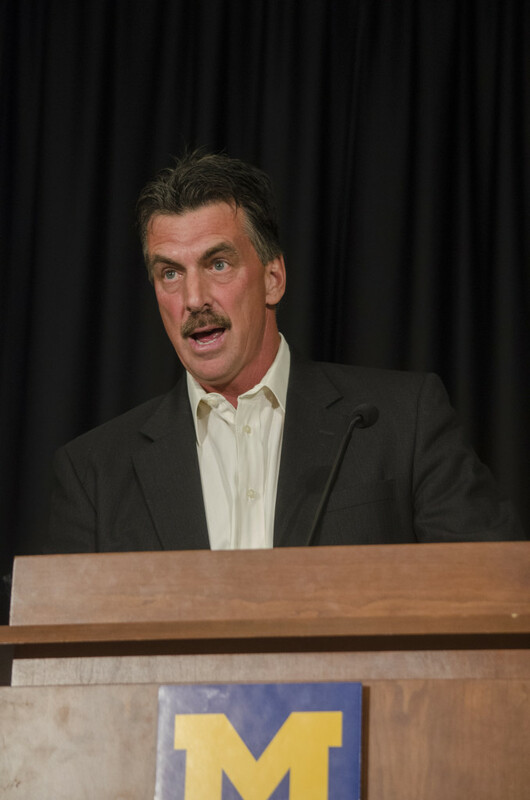 Combs recalled the scene at UM-Dearborn’s all-sports banquet on May 8, noting there were several surprised faces after delivering his message in February. But the Wolverines did compete for a championship in 2015, and in the process, made UM-Dearborn athletics history. On May 1, softball became the first program from UM-Dearborn to compete in a WHAC championship game. 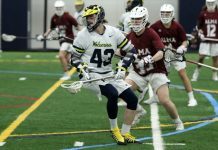 The Wolverines lost to Davenport, 7-6. One week later, Combs was honored as UM-Dearborn’s Coach of the Year at the university’s all-sports banquet. 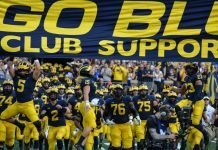 How did Combs get the Wolverines — who were an abysmal 7-36 in 2013 before his arrival — to become a championship contender? Self belief and direction. 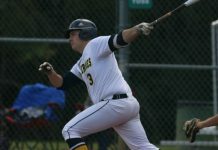 UM-Dearborn had a season to remember in 2015. Besides being one run away from a WHAC title, the Wolverines finished the year 26-25 — the program’s best record in five seasons — and brought home 11 conference awards. 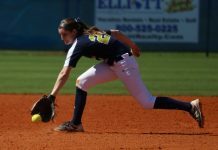 Before 2015, no UM-Dearborn softball player had been honored as WHAC Player of the Week (the award’s archive stretches back to the 2005-2006 season). Now, the Wolverines have two. Junior Valerie Bertani earned Player of the Week honors after the first week of April, and senior Jessie Thueme won the award after a strong performance in the WHAC tournament. Thueme was honored at the all-sports banquet with UM-Dearborn’s Female Athlete of the Year award. She hit .386 with 10 home runs and a WHAC-high 52 RBI in 45 games. Thueme had high praises for Combs, who is much more than UM-Dearborn’s coach. He is the girls softball coach at Ladywood High School and is also the President of Compuware Girls Fastpitch Organization. Athletic director Matt Beaudry was with the softball team throughout the WHAC tournament. The experience left an impression on him; he was still excited about the season at the banquet.